Prince is still cooler than you: He’s the only person who can pull off wearing a shirt with his image — and look epic doing it. Moody hung out at the entertainer’s Chanhassen compound ahead of tomorrow’s release of Art Official Age and Plectrumelectrum (with 3rdeyegirl). 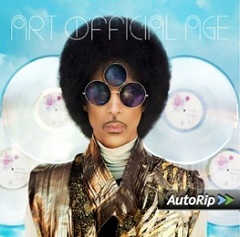 Prince is definitely now partying like it’s 2014, back with Warner Bros. and in full ownership of his music catalog. He told AP because he lives in “the now,” remastering a 30th anniversary edition of Purple Rain is not that exciting. But he does find time to make some interesting observations about his connection to Michael Jackson and James Brown. Read the rest of Moody’s report here. 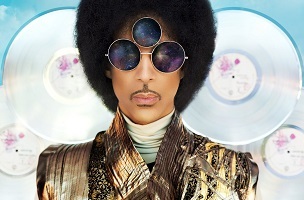 Prince will also he hosting an official online record release party tomorrow night from Paisley Park Studios, via Yahoo. Album cover courtesy: Warner Bros.